The Grand Haven south pier has been resurfaced and is awaiting a new catwalk that is expected to be installed on the pier in June 2019. 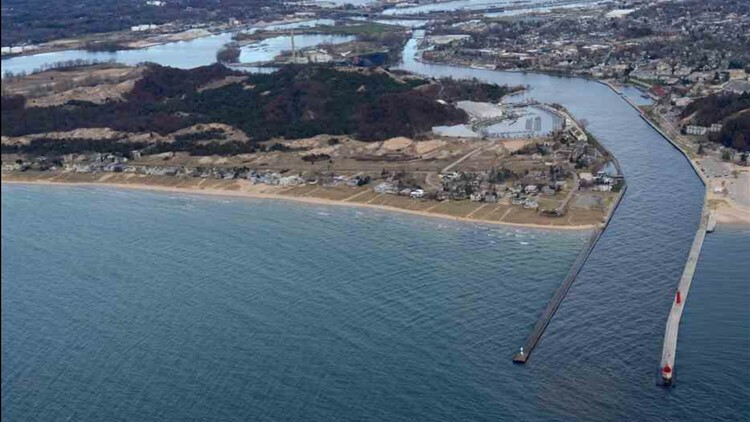 GRAND HAVEN, Mich. — Lake Michigan's shoreline will welcome residents and visitors this summer who want to stroll alongside Grand Haven's long-awaited pier catwalk. "It's an iconic structure that defines what this community is," said Erin Turrell, who led the fundraising campaign to bring the catwalk back. "When you're out on a boat and you see the pier and the catwalk, you know that you're home. You know you're passing by Grand Haven. Without it being there, it's been pretty vacant."